A brilliant Green Pirate Costume including Top, Skirt, Leggings, Bandana, Belt and Bootcuffs, perfect for Film/Pirate themed fancy dress occasions! 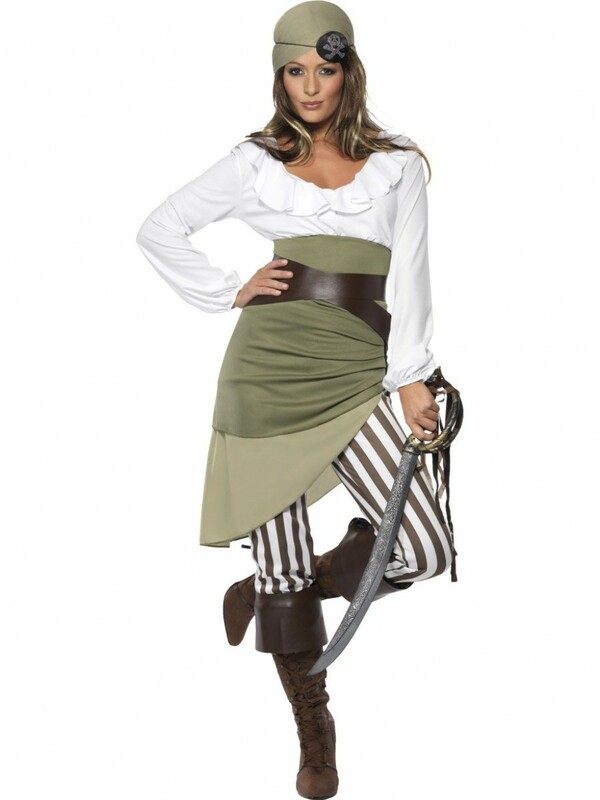 This glamorous Green Pirate Costume includes Top, Skirt, Leggings, Bandana, Belt and Bootcuffs, ideal for Pirate and Film fancy dress occasions. The white top has a rounded neckline with a frilled collar and long sleeves in a loose elasticated style at the wrist. 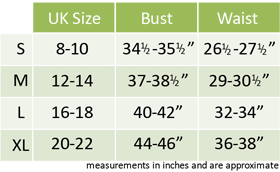 An olive green skirt has a slit down the side which can be zipped up or down and is in a layered design. A pair of stand-out brown and white leggings are included a long with a matching olive bandana which ties at the back, a brown leather-look belt and a pair of matching boot covers to complete the look! A detailed Green Pirate Costume, the perfect choice for any Pirate/Film themed fancy dress occasions!